Herb and spice necklaces from Sora Designs are a flavorful accessory. Whether you consider yourself more like dill, lavender or black pepper, there is a necklace that represents you. 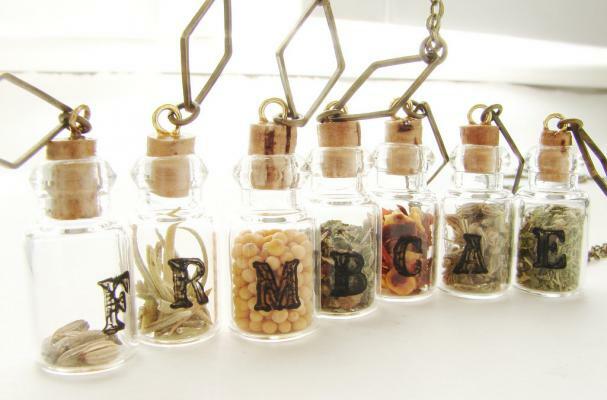 Tiny glass bottles are filled with the herb or spice of your choice and hung on a 28 inch brass chain connected by a diamond shaped link. Custom initials are also printed on the bottles. Necklaces begin at $28 and can be purchased online.